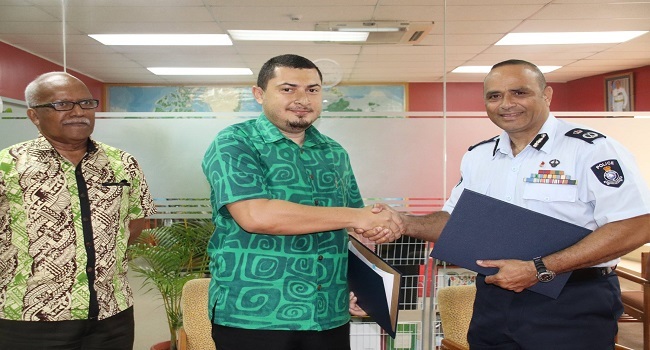 Over a hundred police motorcyclists will now be insured following a signing between the Police Force and Insurance Holdings Pacific this week. Police Commissioner Brigadier General Sitiveni Qiliho says with the provision of more motorcycles into the Force’s fleet of mobility resources, the partnership was indeed timely. Qiliho says since the addition of the motorbikes they have noticed a reduction in complaints about traffic during peak hours because the traffic officers are able to maneuver their way through and get to the problem areas to redirect traffic when the need arises. He also highlighted about the institution’s tough stand on the abuse of mobility resources adding drivers have been terminated for misusing police vehicles. The Insurance cover is for a period of three years.